After the finish of all classes today, there are supplemental classes. 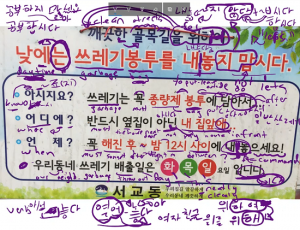 Notes: If somebody doesn’t work, there is a pair of words that Korean people use to jokingly refer to this type of person. Typically, you can call a woman a “백조” and a man a “백수.” If a Korean person asks you “what do you do?” and you respond with “저는 백수예요,” you will definitely get a laugh. Notes: If you work night shifts, you can refer to this as “야간” (or 야간 근무). If you work the day shift, you can refer to this as “주간” (or 주간 근무). You wouldn’t need to specifically state “주간” unless you are comparing it to “야간,” as most people would just assume you work during the day. 한국어를 배우는 최선의 방법이 이 웹사이트로 배우는 것이구나! 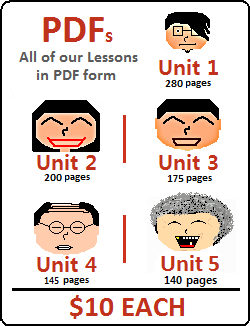 = Ah, the best way/method to learn Korean is through this website! Notes: This is actually a combination of the words 데리다 (to make it so one is physically close to you), and 오다 (to come) connected with ~러 (Lesson 32) to indicate that “one comes for the purpose of being with/close to another. Although 데리러 오다 is technically not one word, it is commonly used as one unit and is typically learned as one word. If the person that is being picked up deserves high respect, the formal equivalent of this is 모시러 오다. Notes: This is actually a combination of the words 데리다 (to make it so one is physically close to you), and 가다 (to go) connected with ~러 (Lesson 32) to indicate that “one goes for the purpose of being with/close to another person. Although 데리러 가다 is technically not one word, it is commonly used as one unit and is typically learned as one word. If the person that is being picked up deserves high respect, the formal equivalent of this is 모시러 가다. 체크아웃을 늦게 하면 추가요금이 있나요? = If I check-out late, are there additional fees? 늦게 도착해서는 안 돼! 우리가 딱 9 시에 시작해야 되잖아! = You shouldn’t arrive late! We need to start exactly at 9:00! 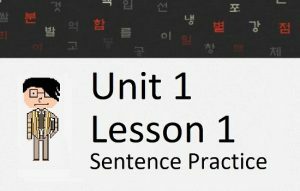 In this lesson, you will learn about adding ~았/었으면 좋겠다 to the end of sentences to have the meaning of “hope.” In addition to this, you will learn about the word “바라다” and how this could also mean “hope” in Korean as well. Let’s get started. I don’t want to provide a lot of examples of 바라다 being used like this. It is more commonly used in a different way, which is shown later. It also looks strange to Korean people because they often pronounce “바라요” a different way. The governing body for the Korean language states that when the stem of a verb ends in ㅏ (as 바라다 does), then 아 should be added to it (and usually merged to it) in these cases. It does not make any exception for the word 바라다. Therefore, despite “바래” or “바래요” being common in speech, writing, and even in Korean songs, 바라 and 바라요 are correct. Again, don’t be married to the translation of “hope” for 바라다. The word “hope” could be used in the sentences above (for example “I hope that you do this for me”), but I used the same translations as when ~아/어 주세요 was added to show that ~기 바라다 can be used to ask for something to be done. When adding just ~기 바랍니다 to “commands” or “requests” like this, it sounds as though the person who is speaking has authority. For example, if a boss was telling his workers to get their work done, he would say “그 일을 하기 바랍니다.” Implied in this meaning is that the work technically should/ought to be done, and that the boss is ordering them to do it. 지금은 서울 역. 서울역입니다. 공항철도나 KTX를 타시고 싶은 승객은 이 역에서 갈아타시기 바랍니다 = This is Seoul Station. Riders wanting to take the Airport Railroad or the KTX, please transfer at this station. Want to see how ~기 바랍니다 would be used in a Korean street sign? Watch me breakdown the usage in a YouTube video. Here, the word “hope” isn’t directly in the English translation. However, Obi-Wan can use this phrase to say that he “wants” the force to be with Luke. A little side-note here for my readers who are also Star Wars fans. In preparation for the new Star Wars movie “The Force Awakens,” I made my (Korean) wife watch all six original Star Wars movies (4, 5, 6, 1, 2, 3 – if you’re wondering). My wife went into the movies knowing nothing. Absolutely nothing. Something that is essentially impossible in western countries because even if somebody isn’t a Star Wars fan, they typically know about “Darth Vader” and the famous line that comes at the end of Empire Strikes Back. She absolutely loved them and now we’re both waiting in anticipation for the next slew of movies to come out. There is another way that you can say “I hope” in Korean, which we will talk about next. If you ask a Korean person, they will say that the two examples above have the same meaning. Both of them are indicating “hope” or a “wish” in the present tense. I’ve never read a concrete explanation as to why the two examples above have the same meaning. Korean people just tend to use the first example (using “~았/었으면”) when indicating one’s hope or wish. 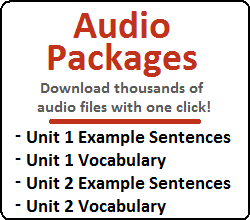 The thing is, both sentences (in English and Korean) – whether you think of “~았/었으면” as a single unit or see “~(으)면 좋겠다” as individual pieces – express the same meaning. Anyways, that is just my observation.